The Fontes Mediaevalium series publishes books and resources that present primary historical sources on the Middle Ages in a format accessible to general readers and useful to scholars and students. For the purpose of this series, the Middle Ages are defined as the period of European history between AD 700 and 1400. Books published will focus primarily on the history and civilization of medieval Christendom, with a particular focus on the Crusades. However, works will also be published which examine the impact of non-Christian civilizations, particularly Islam, upon the Christian civilizations of both the east and the west. Works which focus on the history and civilization of the Byzantine east will be of particular interest to the series, especially as they relate to Byzantium's role in the crusading movement and as a bulwark against expansionist Islam. Though many of the books that make up the FM series will be reprints of antique works or more recent ones that have gone out of print, all the books in the series will be digitally typeset with the intention of making them available in both print and electronic format. Wherever possible, updated material will be added including introductions, bibliographies, maps and indexes. Rather than providing raw OCR data, littered with typographical errors as many bulk reprint services do, the books in the FM series are carefully edited and professionally formatted to make the reader's experience as enjoyable and frustration-free as possible. The First Crusade was one of the epoch-making events of history. It is also one of the most misunderstood in modern times despite the wealth of eye-witness records which have survived from that era. Written by churchmen and common knights, counts and princesses, these historical accounts and letters present the fervor, intrigue, despair, jubilation and ferocity of the First Crusade with the clarity, intensity and shocking honesty of its most passionate observers and participants. 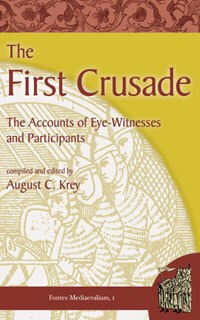 Originally compiled by Professor August C. Krey in the early 20th century, The First Crusade: The Accounts of Eye-Witnesses and Participants presents a continuous narrative from the Council of Clermont to the capture of Jerusalem told entirely with first-hand accounts. 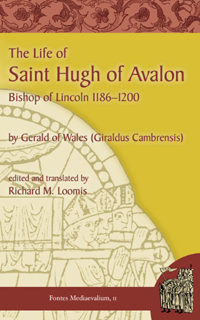 The collection includes extensive tracts from the anonymous Gesta Francorum, the Historia Hierosolymiana by Fulcher of Chartres, the history of Raymond of Aguilers, the Alexiad of Anna Comnena, and many others. Together, these accounts present a highly readable and vivid history of the First Crusade and help to reintroduce modern readers to the various princes and pilgrims, battles and sieges, saints and villains, relics and holy places which were once famous throughout the world in history, literature and legend. Carefully edited with an updated bibliography and re-touched maps, this new edition also includes an index which was absent from previous editions.